Over 40 years ago, John Storyk designed a club in Greenwich Village called Cerebrum; there was much fanfare around the club, since the person commissioning it was none other than Jimi Hendrix. 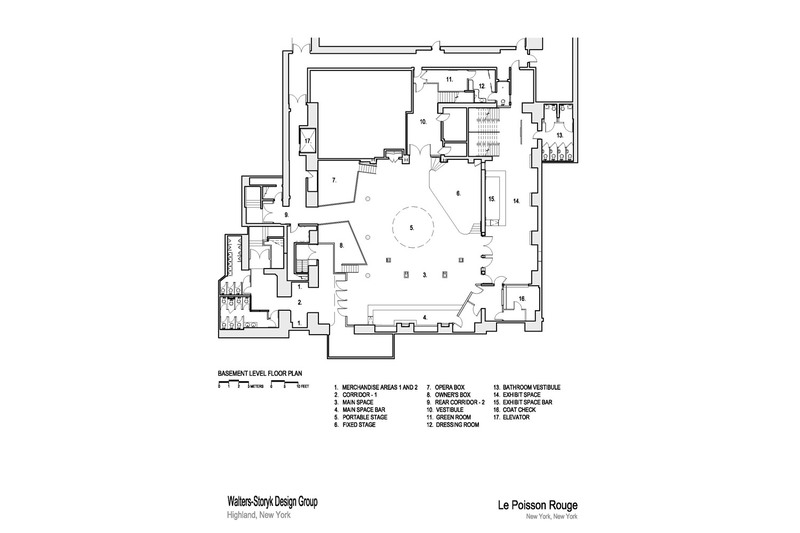 Decades later, WSDG has designed Le Poisson Rouge at the crossroads of the village; the club is located on Bleecker Street between Thompson and Sullivan on none other than the site of the former Village Gate. 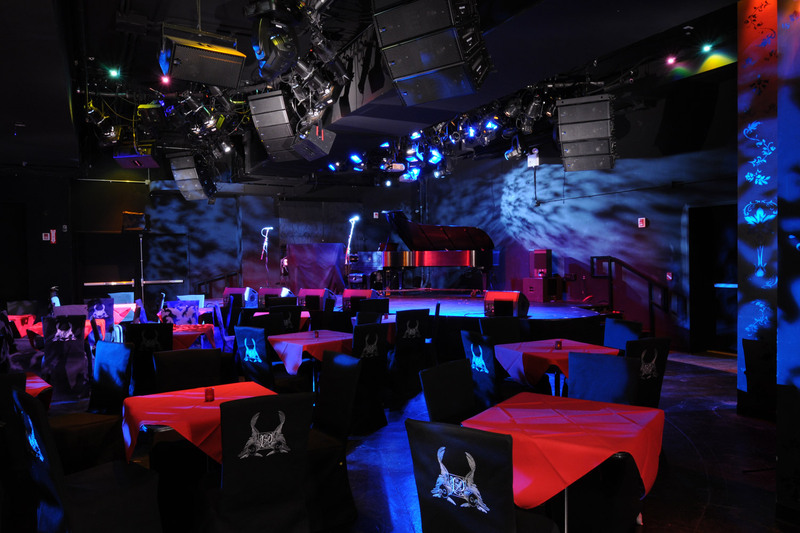 The club features a flexible and intimate performance space with a capacity of 800 people (250 seated) as well as a 23′ diameter hardwood sprung dance floor. 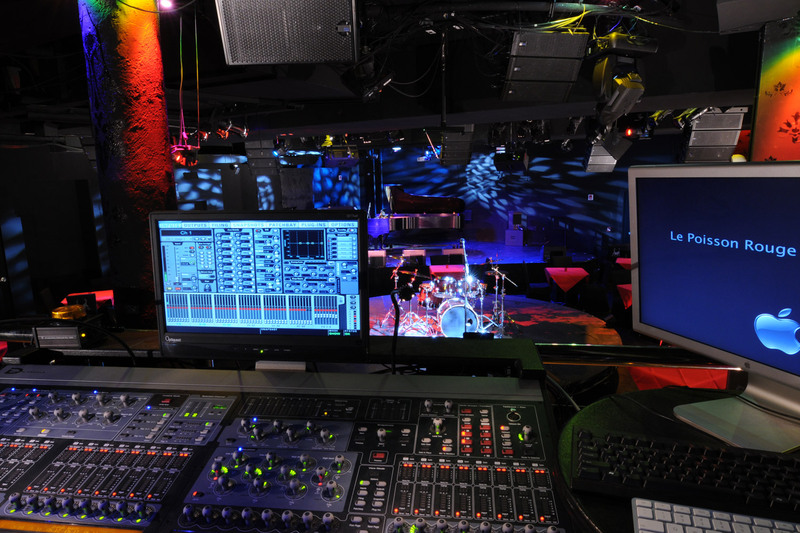 The stage itself is located in the corner of the performance space and measures 28′ x 21′ with options for increasing or decreasing the overall footprint as required. 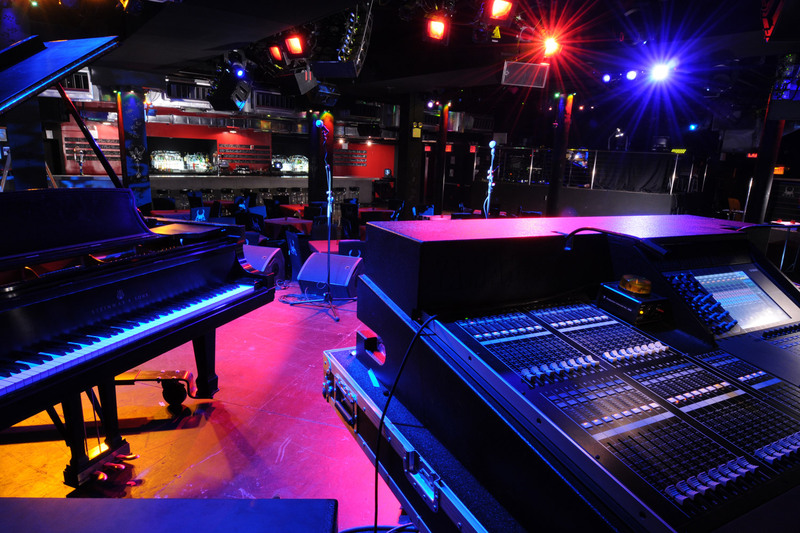 Additionally, there is a 16′ diameter trundled round stage that can be used in the center of the space as needed, for example to hold LPR’s 9′ concert grand piano. In addition to having a fully featured, flexible performance space, LPR also sports two cinema-sized screens, both which feature surround sound. 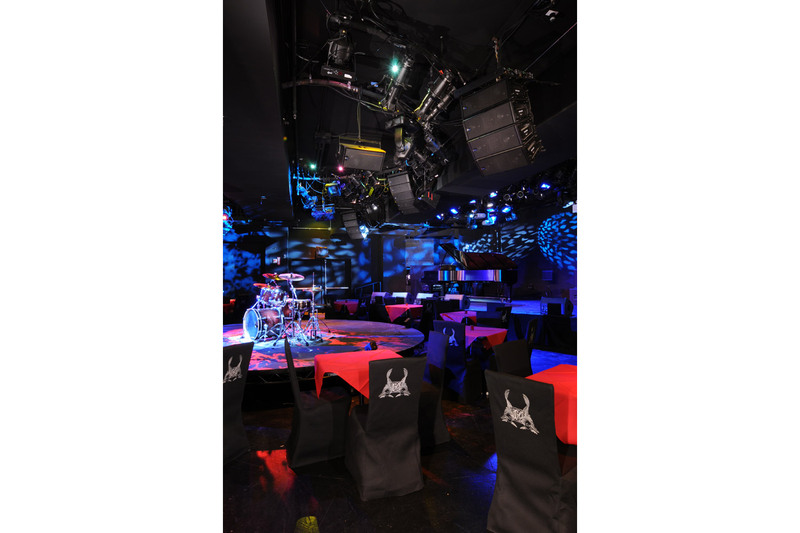 Also, there is a fully soundproofed lounge directly adjacent to the performance space that can hold approximately 130 customers. 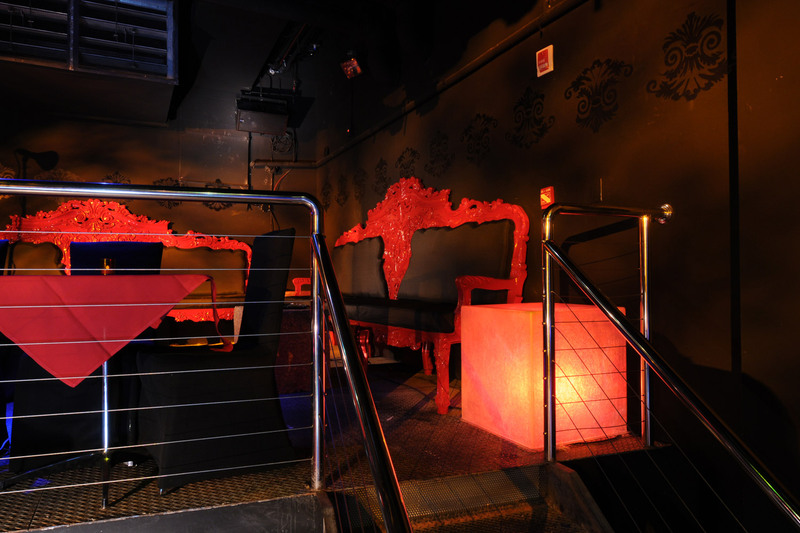 The club was designed with two elevated VIP Opera Boxes as well as two private entrances for high profile guests or performers. The kitchen boasts a full catering capability, a concert bar menu and a reasonably priced daytime lounge menu. While LPR is officially opening in September of 2008, the club has already featured a wide range of performers including Ricki Lee Jones, the JVC Jazz Festival, Bill Frisell, DJ Logic and many others. Read The New York Times Article (Summer 2008). Read The New York Times Article (Fall 2008). Read the New York Times Article (Summer 2009). Read The Daily Herald Article (Fall 2009).